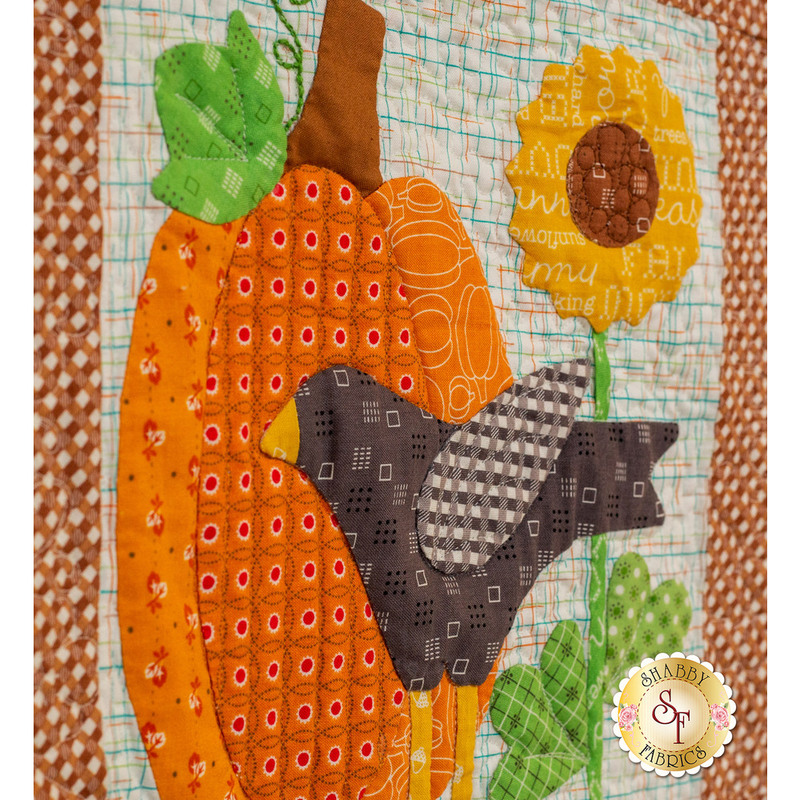 This adorable quilt by Lori Holt is autumn perfection, from the colors to the sweet details. 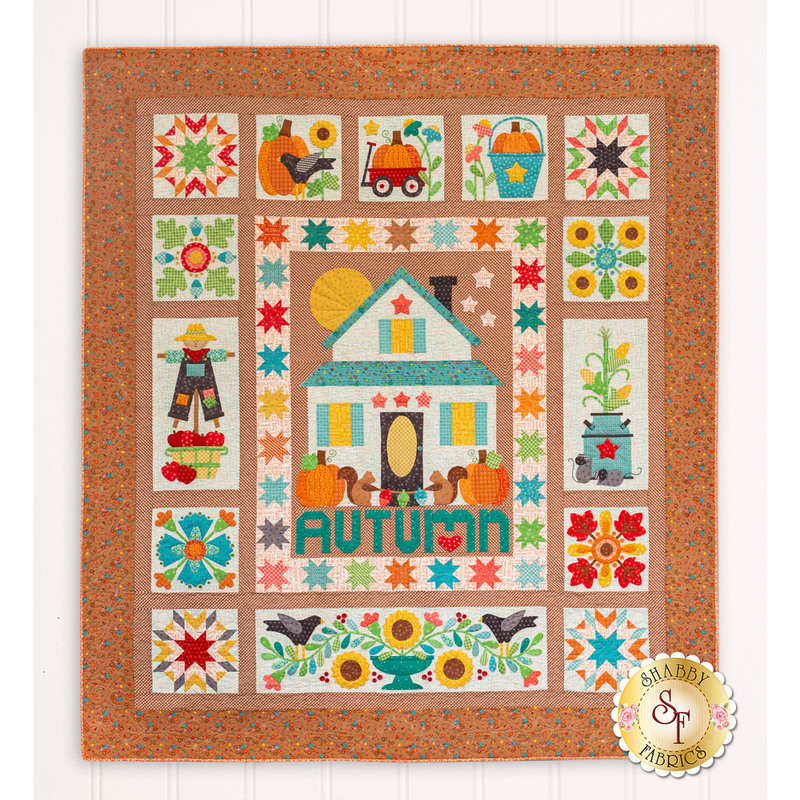 The quaint country farmhouse is surrounded by pieced and appliqued blocks in warm fall tones. 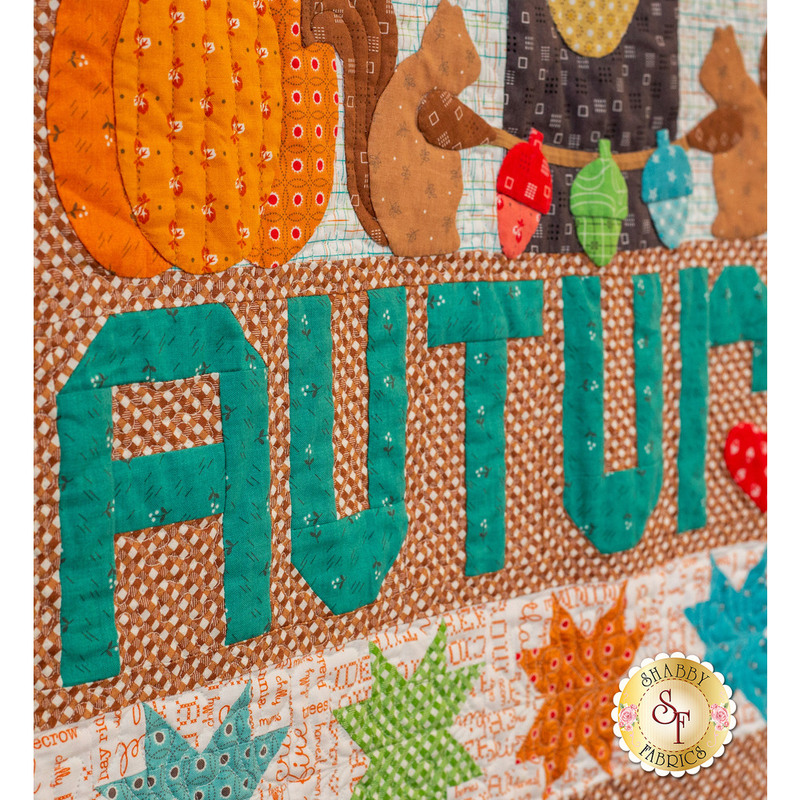 Autumn Love is definitely a fun and exciting journey for quilters of all skill levels. 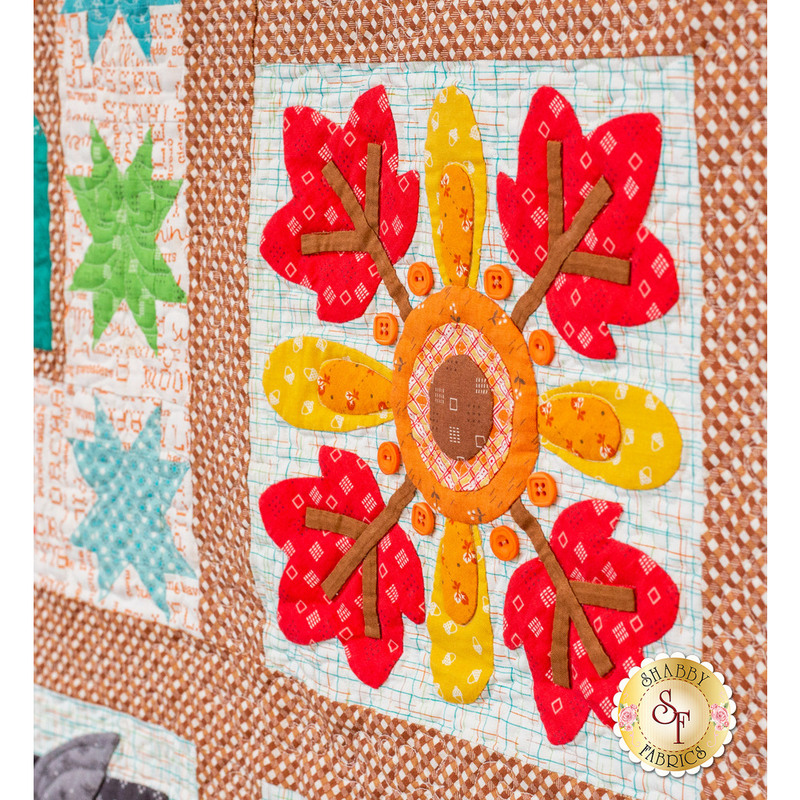 This quilt was done as a Sew-Along in August 2018. 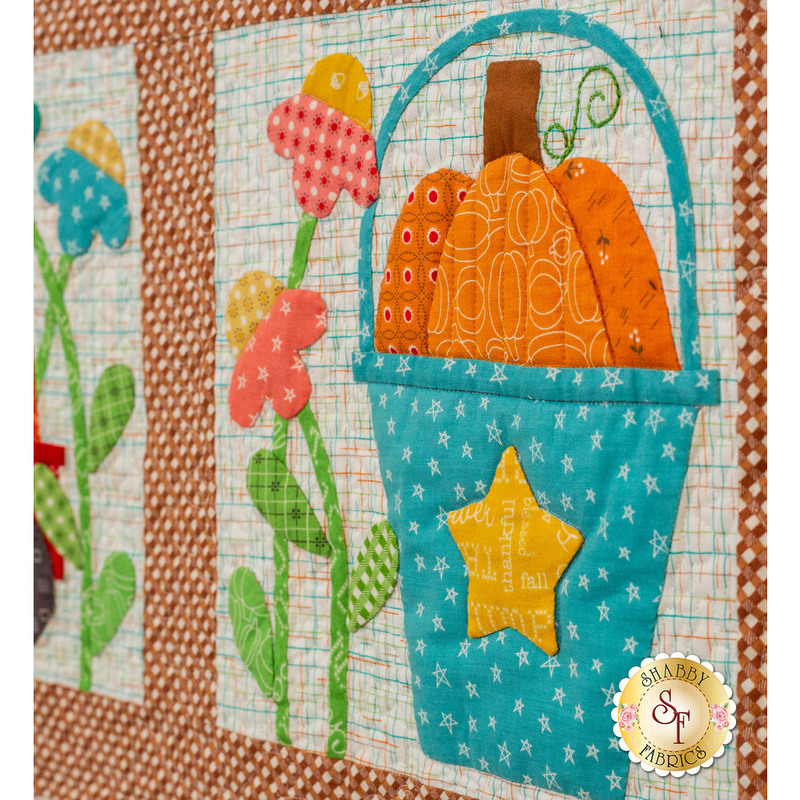 Instructions, Tutorials and Block Patterns are still available, including tips and tricks, and photos of her quilt as she sews at Lori Holt's "Bee in my Bonnet" Blog. 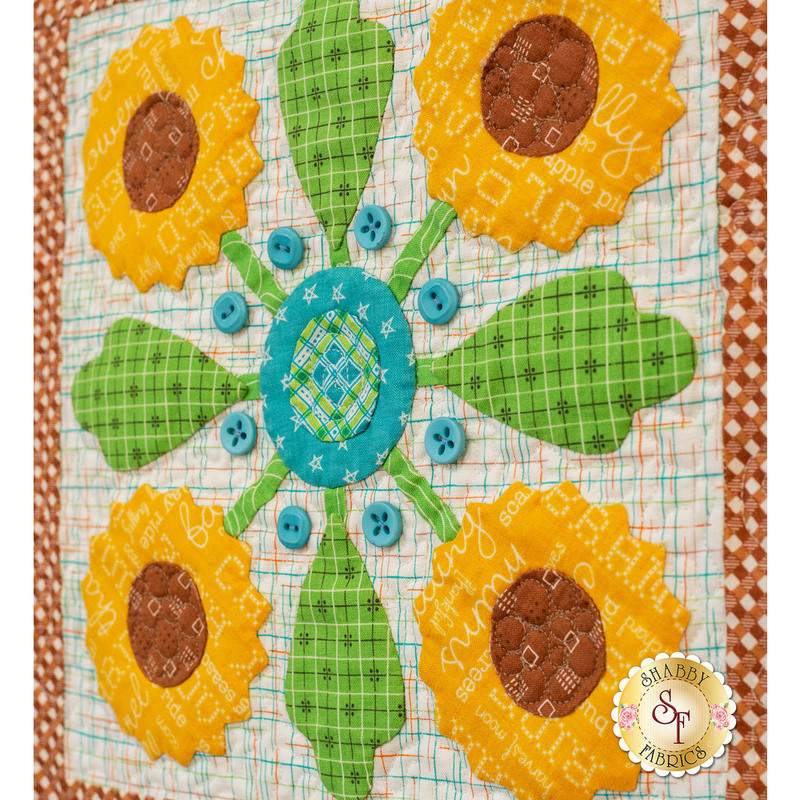 All Top Fabrics, including sashing, binding, and borders. There is a generous amount of fabric in the kit! 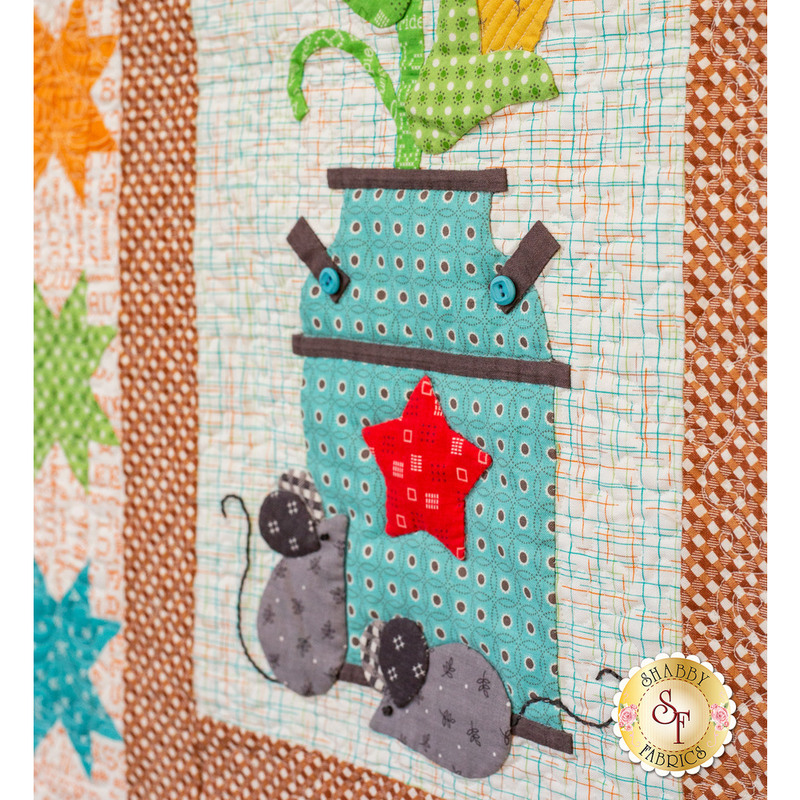 Don’t forget to select the Sew Simple Shapes Template Set so you can make all of the cute applique shapes the way Lori does. Free Shipping USA! Int'l customers, regular shipping charges apply. 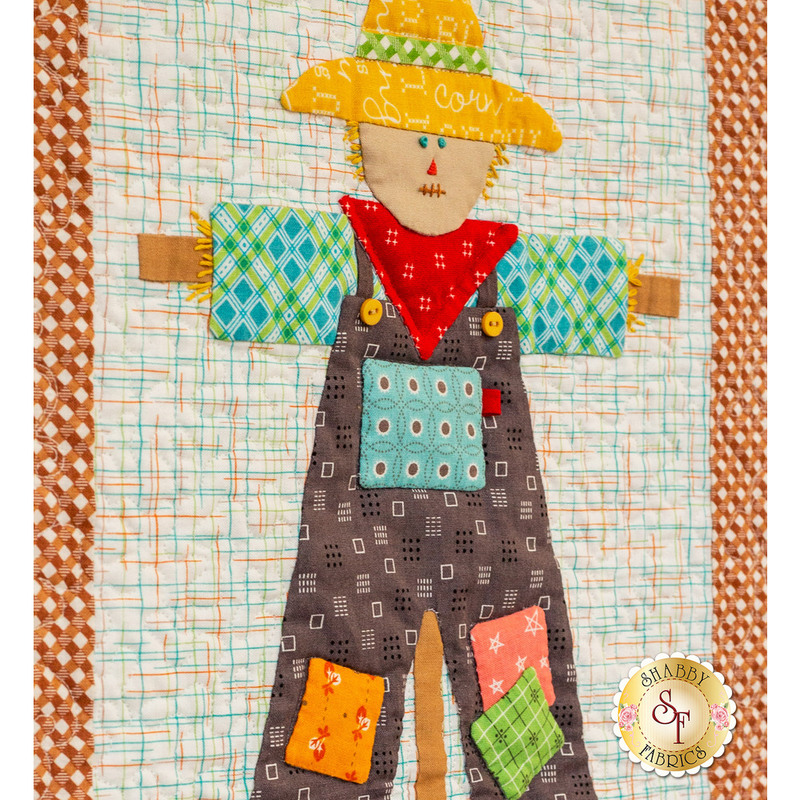 Quilt measures approximately 74" x 84". 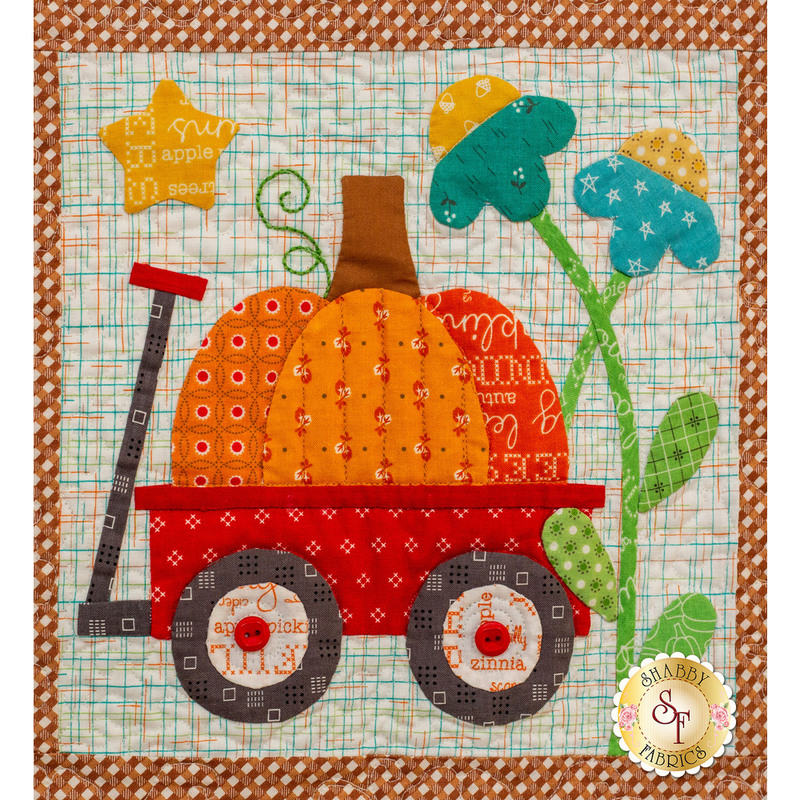 Sew Simple Shapes - Autumn Love Templates - Highly recommended for completing the appliqué pieces. 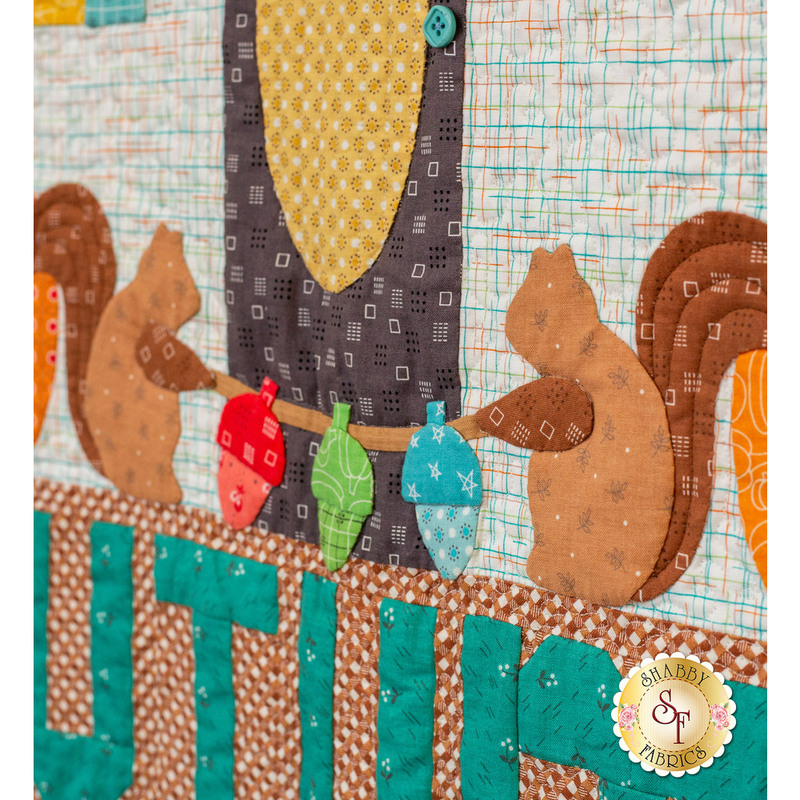 This is Lori Holt's preferred applique technique. 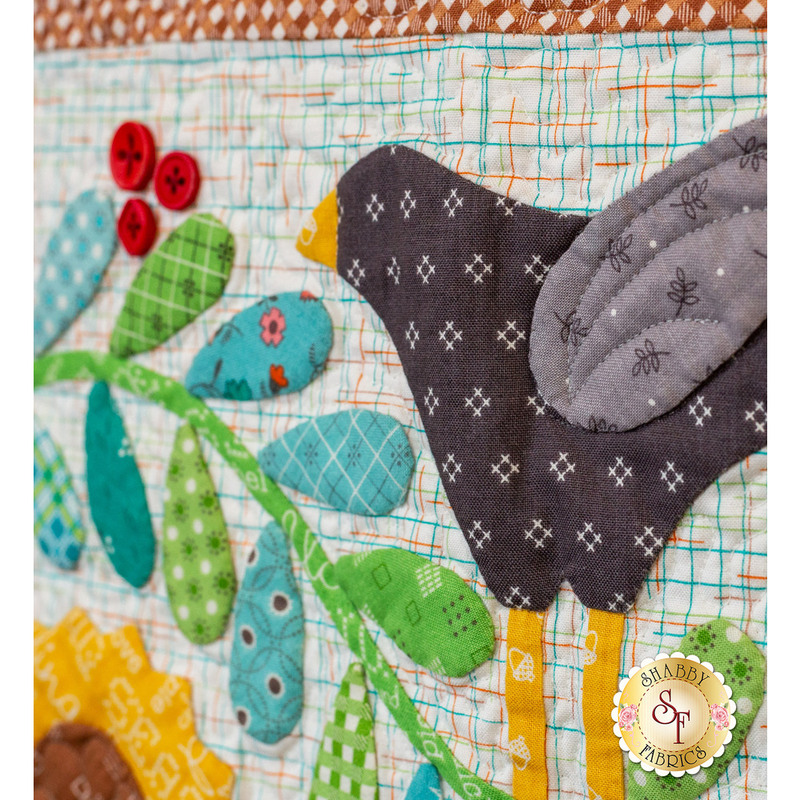 Sew-in Interfacing by Lori Holt - Very helpful for completing the appliqué pieces along with Lori Holt's Sew Simple Shapes. 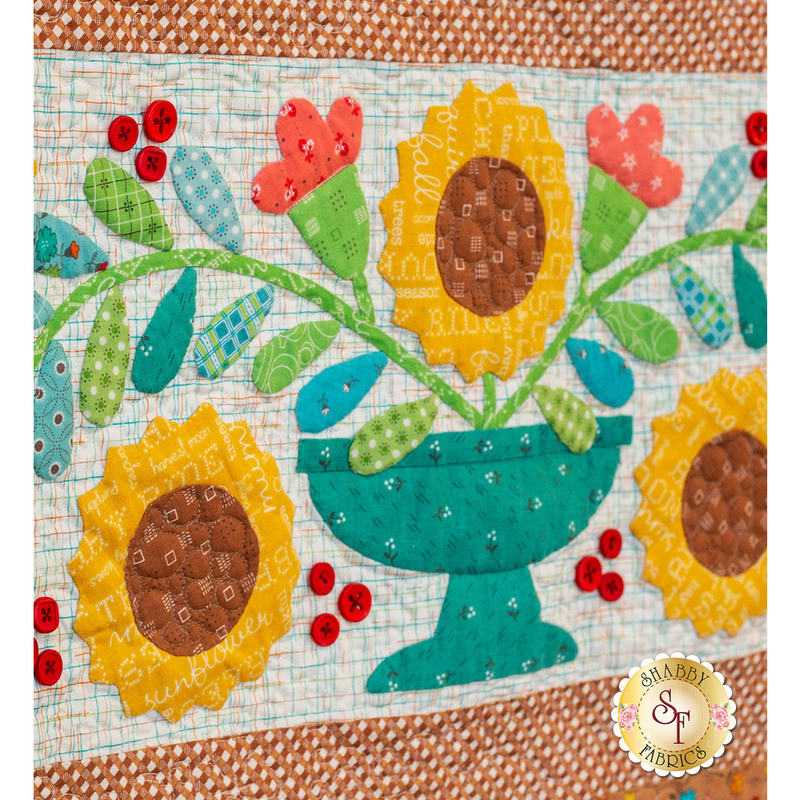 Roxanne Glue Baste-It - Extremely helpful when adhering appliqué shapes to the background.